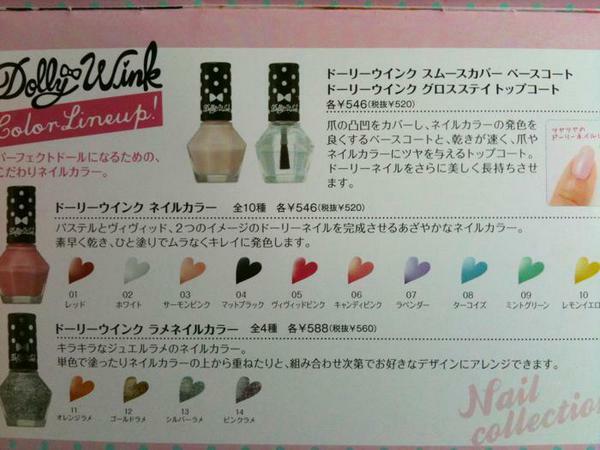 ekiBlog.com: New Dolly Wink Nail Collection debut soon in stores! New Dolly Wink Nail Collection debut soon in stores! Wanted to make a quick post about Tsubasa is launching her Dolly Wink Nail collection debut soon in Japan,, not sure the exact date havent been officially announced yet but its around early July and so she just released the photos in her twitter account! I wanted to share them with you as well since I am pretty excited about them~♥ They look really kawaii and love the glittery polishes! also behind the scene of promotional photo session for Dolly Wink nail collection. aww she's so cute~ love the lavender and mint green colours <3. Oh my gosh the colors are too cute! 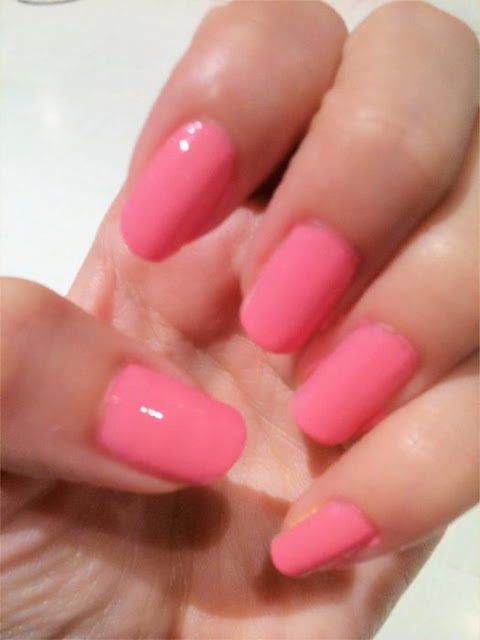 I reallly like the pink color. I'm an absolute nail polish junkie. Can't wait! these colours are so cute! i can't wait to see these when im in japan next month woot!!! Wow!! I love the colors =D! I can't wait for them to be sold in Japan and hopefully, soon after, Hong Kong will get some and maybe I can ask my mom to get them for me ^__^. Thank you for sharing with us about the update of an amazing product from Dolly Wink =]! cute,all about the packaging tho. the colors are so pretty *_* noticed that all the colors are pretty not just one or two <3 awesome tsubasa is so cool! I love the colors but I think the packaging isn't pretty. It just look like a stone. For a trendsetter like tsubasa i would expect a whole different nail polish bottle shape. she looks adorable when shes concentrating xD cant wait for them to come out. the colour choices are so adorable! I definitely need to get some of these! Cute...I am such a nail polish addict. I really want that lavender color and some of those pinks. dolly wink has such kawaii stuff!!! All the pastel colors makes me want to grab a handful of candy! wow loving the candy pink and lavender hue....can't wait to try em!!!! thanx again for the buzz eki!!!! The colors are so cute! And the packaging <3 I really like the shape of the bottle. So cute! 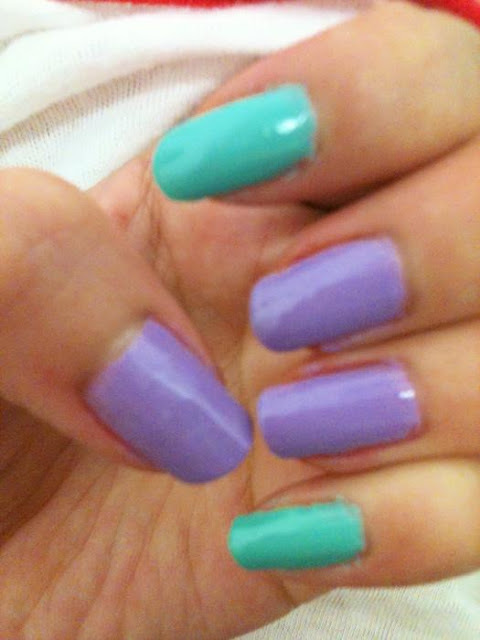 Mint and lavender kinda look like China Glaze For Audrey and Spontaneous! 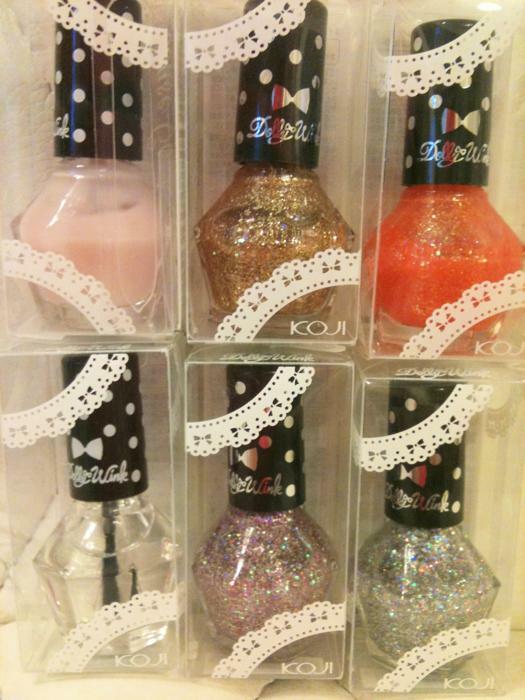 Such cute colors, I really want my hands on the pink one. xD!